Like the look of those expensive quilted accessories but not the high price? Then this class is for you. Create a beautiful and unique framed walled all in the hoop on your embroidery machine. 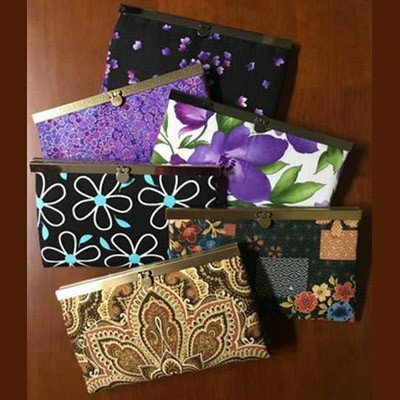 The in-the-hoop wallet includes complete instructions for creating these wallets. Don't know how to sew in a zipper? Then let your embroidery machine do it for you. Requirements: Purchase of pattern and fabric required.